Ricciotti Ensemble at Dunbar Battery. 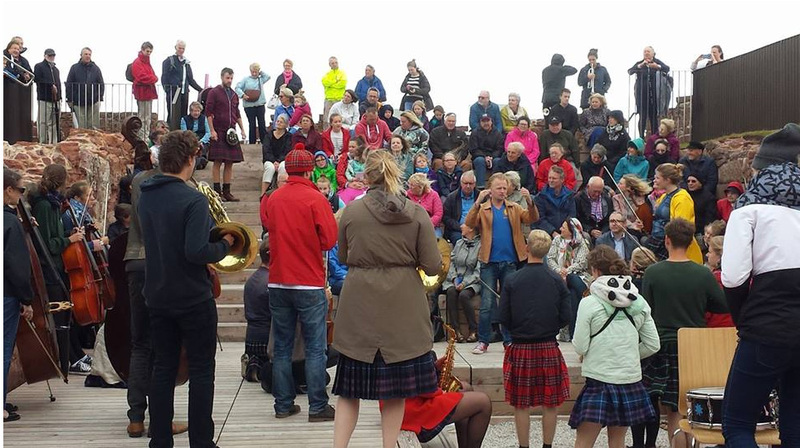 42 young, talented and energetic musicians having one last party before they head home to Holland. 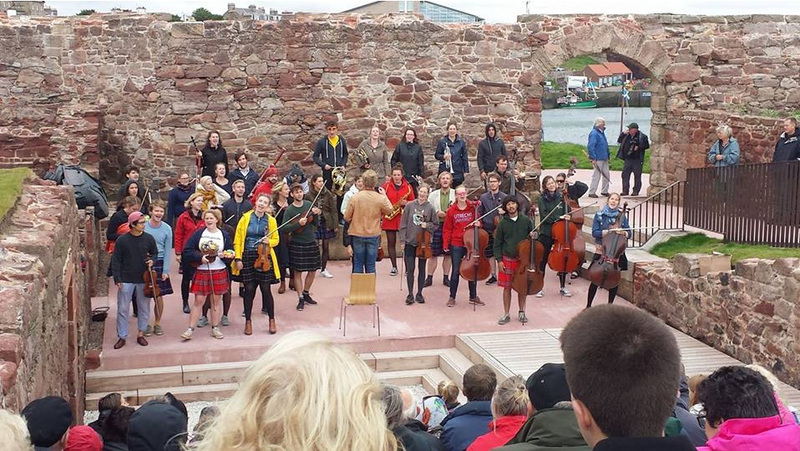 The final stop on their 10 day tour of Scotland, the Ricciotti Ensemble delighted the 100-strong audience with their stunning performances of popular classics and Scots music – from “Ski Sunday” to “Caledonia” via Burns, this troop of modern minstrels enchanted young and old as they danced and played all over the Battery.